Here’s an interesting upcoming device. 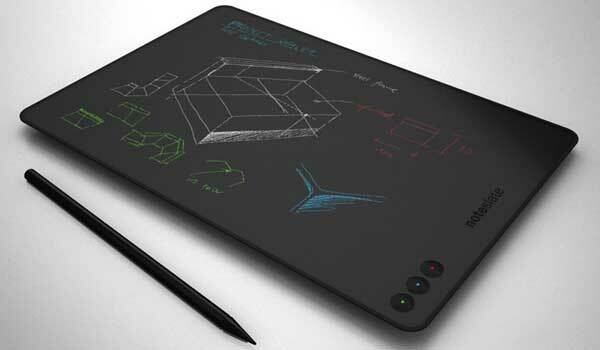 The NoteSlate is an electronic paper computer tablet uses an eInk monochrome technology, displayed on a 13-inch screen. 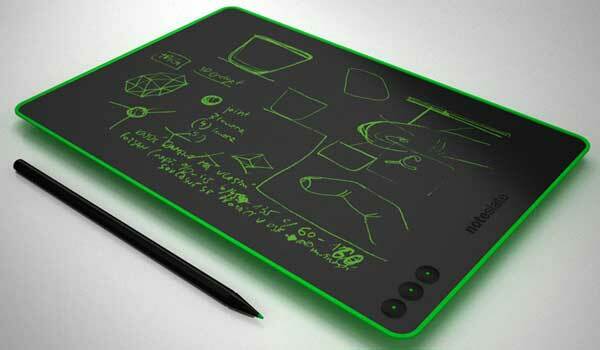 It does not offer web browsing – the NoteSlate is for writing notes, making drawings and the like. Notes, drawings, lists, whatever are written using the ‘pen with eraser’, a stylus. The buttons on the bottom left-hand corner are to Save Current Screen, Show Last Screen and Delete Current Screen. 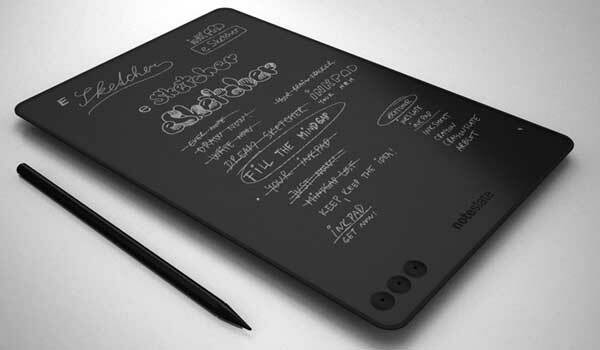 The NoteSlate in extremely portable, slightly bigger than an A4 sheet of paper, weighing in at only 280 grams. It’s thin in stature, but long on battery. The makers claim the battery will provide 180 hours of use on a full charge. Memory is an SD card, up to 32GB. In its basic form the NoteSlate will be available in four colours – white, black, green, blue, red. In the case of the red, green and blue, that means the colour of the ink and trim will match. The back model uses white eInk, and the white model uses black ink. On the planning board for a later release is a model that will use red, green, blue and white eInk. Also planned is a very useful accessory, a solar energy backside cover. By release it is also expected that the NS Firmware will, in addition to working to display basic drawing, also work to display notes, play mp3 files, work as a PDF text viewer, and in NSFv2.0, possess OCR handwriting recognition. 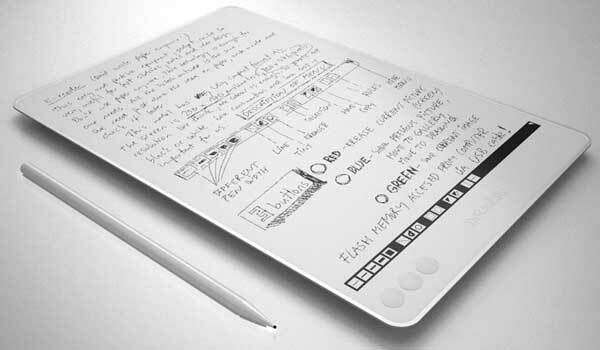 The Basic, White and Black NoteSlates are down for a June 2011 release, at a price of US$99. Following in December will be the Red, Green and Blue versions. The device will only be available through NoteSlate’s online store. The four colour model is ‘TBA’ on both price and release date.